Ahead of their upcoming North American tour! 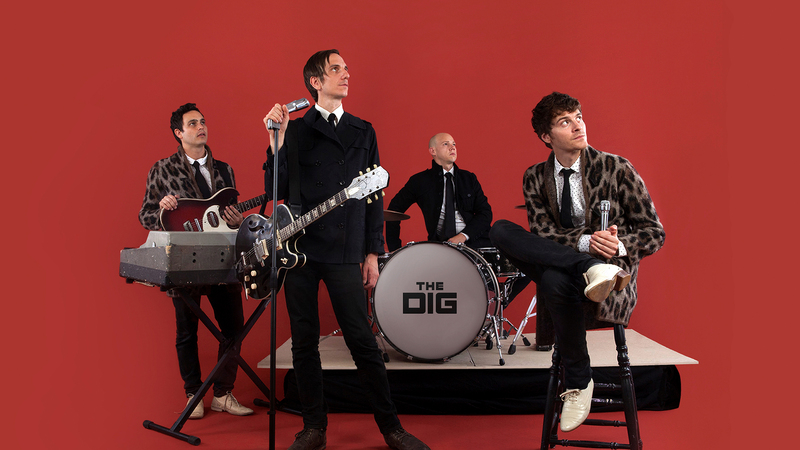 Formed by three friends in NYC in 2010, The Dig have gained quite the reputation for writing and recording insanely infectious psych-pop tracks. The proof is in the pudding with their latest album, Bloodshot Tokyo, a record which we’ve had on heavy rotation since it dropped earlier this month via Roll Call. Piece of advice—if you haven’t jammed to “Simple Love” already, add it to your to-do list, pronto. To promote the LP, the now-four-piece have announced that they’ll be bringing the material to the masses for an extensive North American tour. Kicking off on February 22 in New Haven, their string of dates will take them through Los Angeles, San Francisco, Seattle, Austin, and Denver before wrapping on April 1 in Chicago. With the 29-date run just around the corner, the band—Emile Mosseri (bass/vocals), David Baldwin (guitar/vocals), Erick Eiser (keyboards/guitar), and Mark Demiglio (drums)—have assembled a list of what they might be watching on the road in between gigs. Check out the “Jet Black Hair” creators' favorite music documentaries list below, then make sure to Track them on Bandsintown so you don’t miss them when they come to a city near you! The beautiful story of Bill Withers. Everyone knows his songs, but not as many people know that he's the one who wrote them. There's a great scene in here where he talks about the notion of "selling out." His take on it was, if you run a business, the best possible sign you can put up on your door is "sold out." Something we definitely agree with, although the notion of selling out doesn't seem to really exist anymore. These days I think most people understand that if you sell music at all it's a darn miracle. The Beatles were once asked who their favorite American band was, and they all said Harry Nilsson. There isn't a whole lot of footage of him out there, but this documentary has some amazing rare performances and captures how unreal of a singer and songwriter he was. There's nobody else like him, and there never will be. Much like Still Bill, this one is also quite the tear jerker. We once saw a Beatles documentary come on TV. In the opening credits, it had the classic Beatles photo with the four of their heads in squares. After a minute, George and Ringo's heads started to fade, and then the title came in: The Music of Lennon and McCartney. It must have been made by a diehard Paul McCartney fan, because the entire time it just shat all over John Lennon. Anyway, even though it's common knowledge by now, someone eventually had to come along and make a George Harrison documentary that shows he was as much of a genius as any of them. It's been said that there's more footage in existence of Robert Johnson than there is of Townes Van Zandt. Most, if not all, of what's out there is probably in this documentary, mixed in with some amazing interviews with the likes of Willie Nelson and Kris Kristofferson. We had to include this one. It records the friendship/rivalry of the bands The Brian Jonestown Massacre and The Dandy Warhols. Not only is it a cool documentary, but it also gave us the idea to incorporate the word 'Dig' into our band name.